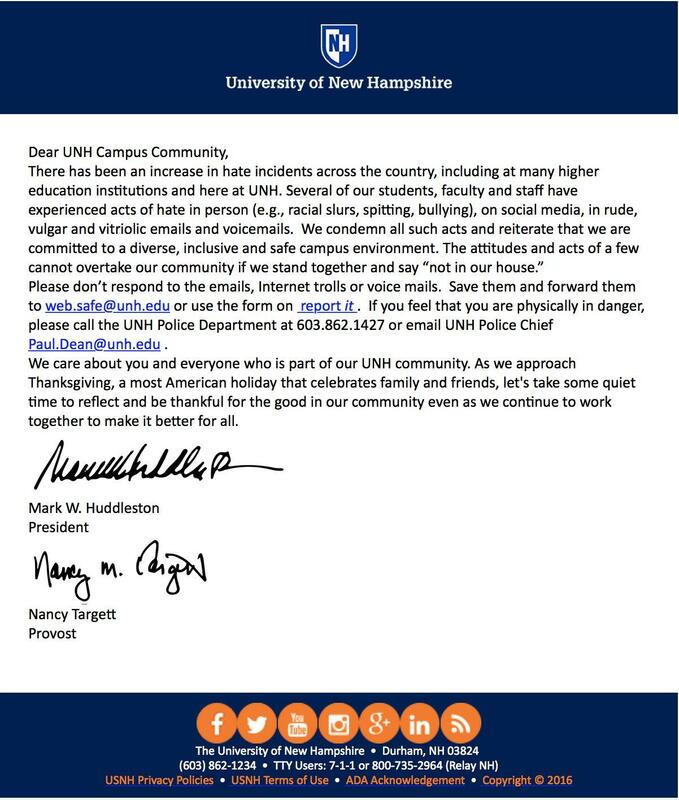 University of New Hampshire President Mark Huddleston sent a campus-wide email Tuesday condemning what he says has been a recent increase in hate incidents on campus. 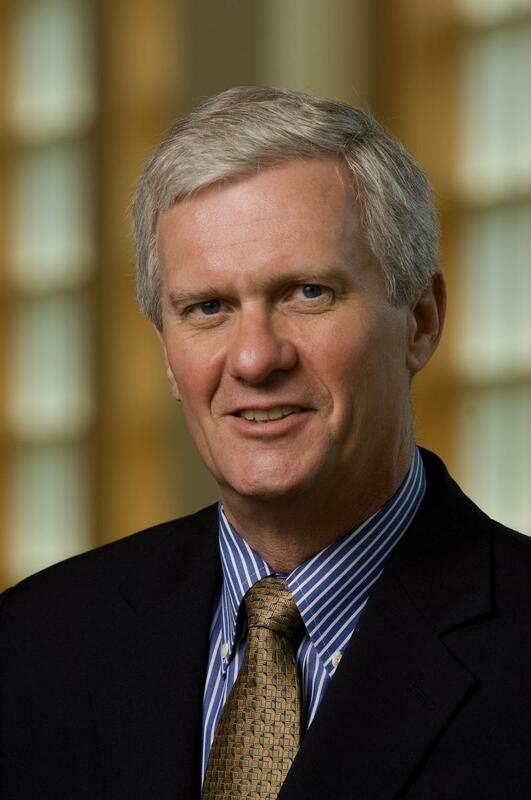 In the letter addressed to the ‘UNH Campus Community’, President Huddleston said several students, faculty, and staff at UNH have recently been the victims of acts of hate including racial slurs, spitting, and bullying. He says the incidents have occurred in person, on social media, and in voicemails. Huddleston condemned the acts and reiterated what he called UNH’s commitment to a diverse, inclusive, and safe environment. The letter also included information on how victims could report such incidents to university administration. This letter was emailed campus-wide on Tuesday. Officials with the University System of New Hampshire say they hope to freeze in-state tuition for the 2018 and 2019 academic years. That’s if state budget writers approve the university system’s spending request: $88.5 million in 2018 and $93.5 million in 2019. That's a roughly $20 million increase from what state budget writers gave the system in the current state spending plan. 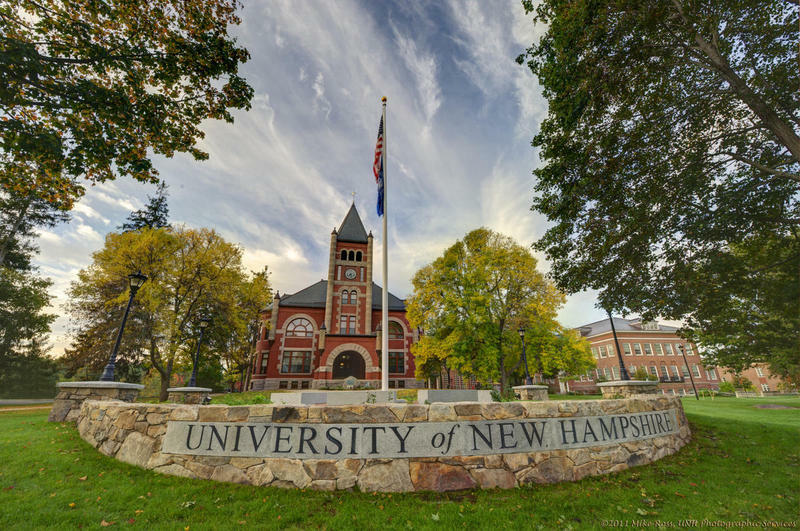 The University of New Hampshire is waiving its fifty dollar application fee for all in-state undergraduate applicants this year. Last year, UNH had a record number of total applicants – over 20,000. But less than 25 percent of those were New Hampshire residents. The number of in-state applicants is down from five years ago. Victoria Dutcher, head of enrollment management at UNH, hopes waiving the fees for in-state applicants will help change that. UNH Researchers Want to Know: What's the Best Way to Reduce Plastic Bag Use? New research from the University of New Hampshire says taxes or bans on plastic bags are the most effective ways to manage their impact on the environment. 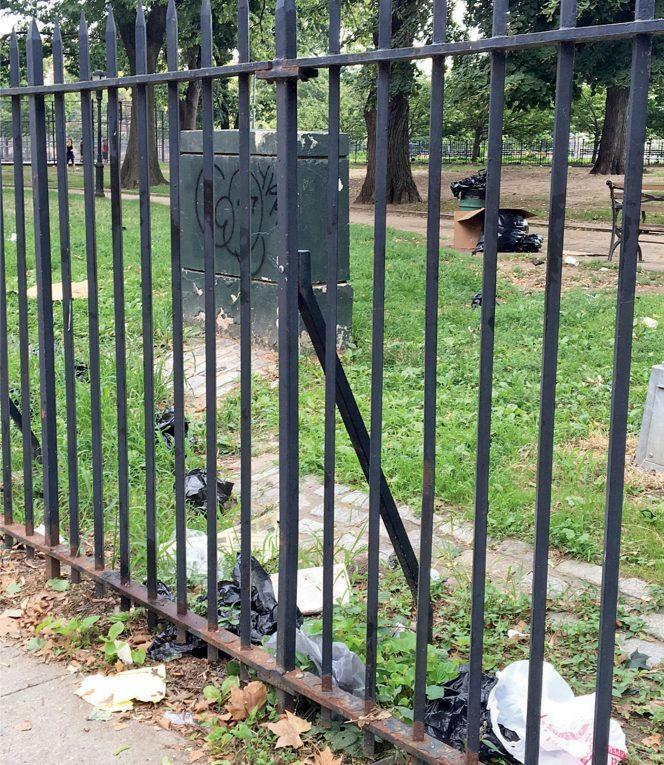 The research looked at the ways 13 different states and cities around the country have attempted to manage the use of plastic bags – from bans, to taxes, to recycling programs.